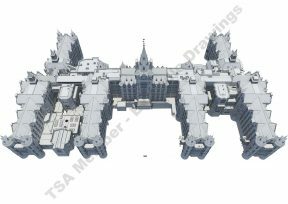 Aerial view of the Former Royal Infirmary Building, created as a fully parametric Revit model. Rendered image created in Autodesk 3DSMAX. 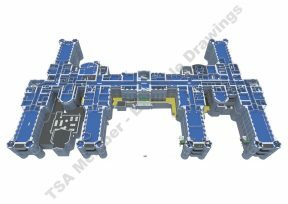 Isometric view of the Former Royal Infirmary Building, gatehouse and boundary walls, created as a fully parametric Revit model. Rendered image created in Autodesk 3DSMAX. 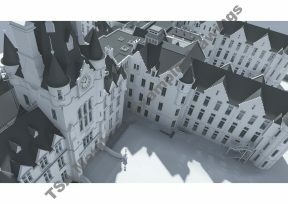 Isometric view of the Former Royal Infirmary Building, created as a fully parametric Revit model. Rendered image created in Autodesk 3DSMAX. Image is of Tower close up. 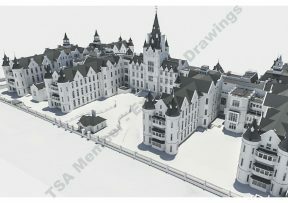 A 3D slice through the Revit model of the Former Royal Infirmary Building, shown to represent the internal detail included within the model. Each floor has been colour coded for visual purposes when rendering multiple views. Rendered in 3DSMAX. The Oriental Club. 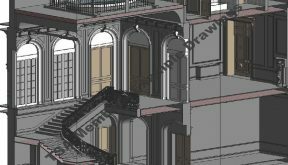 Full parametric Revit model. 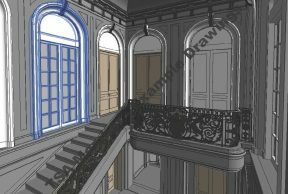 Direct screenshot taken within Revit 2016.